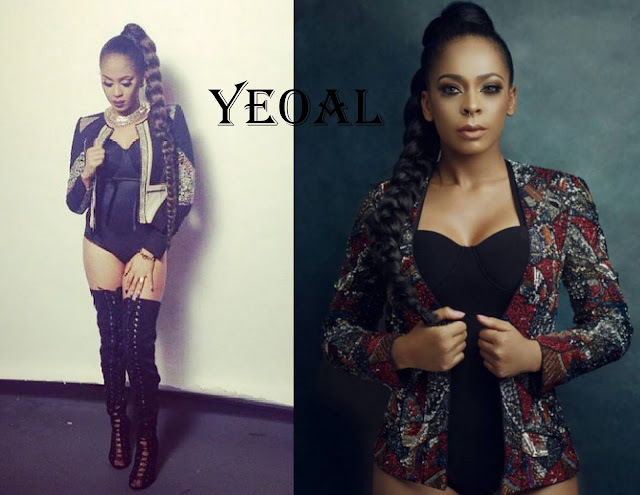 Yeoal's Blogzine™| Nigerian Urban, Gossip and Entertainment Site: Who Rocked the High Ponytail and Kini Look Better.......Munachi Abii or Tboss? Who Rocked the High Ponytail and Kini Look Better.......Munachi Abii or Tboss? The look is very identical.....high ponytail, jacket, kini underneath. Who rocked it better however though, Munachii or Tboss?